Kristin Waites is the Digital Products Assistant at The MIT Press, where she coordinates the ebook production and distribution process and heads their diversity and accessibility initiatives. Her first foray into the ebook world was at Baylor University Press, where she worked as the Digital Publishing and Production Specialist. In her spare time, Kristin blogs about food, writing, and traveling at kristinwaites.com. She'll be at ebookcraft 2017 to talk about Creating a Roadmap for Accessibility. Accessibility is one of those aspects of publishing that everyone knows is important, though most people don’t fully understand it. Talks on the subject are often full of technical jargon that can leave even ebook developers confused. I’ve spent the better part of a year trying to educate myself and my coworkers on accessibility, and along the way I’ve compiled a list of what I think are the most important terms, file types, organizations, and standards to understand. This is by no means a comprehensive list, but I hope it helps to start, and to continue, conversations across the industry. A11y: Most often seen on Twitter as #a11y, the abbreviation stands for accessibility, with the "11" in the middle representing the 11 missing letters of the word. Screen magnifier: Screen magnifiers are used to increase the ease of reading text on a screen through methods such as magnification, increased contrast, and cursor customization. Screen reader: Screen readers allow users to fully navigate webpages and applications using a keyboard. Screen readers output audio based on the underlying code of a page. Refreshable Braille Display: Refreshable Braille Displays can be plugged into a computer or phone and, with help from a screen reader, create tactile braille from text onscreen. Born Accessible: The term, coined by Benetech, is used to describe content that is accessible upon publication and requires no further modification. The goal of most accessibility initiatives is to be able to create workflows that produce born accessible ebooks and digital products. PDF: Most people are familiar with PDFs and know how to use them. For that reason, they are currently the main file type that’s provided when “accessible files” are requested. While PDFs can be made accessible through some manual work, they are often not the ideal format. EPUB: EPUBs are XML-based reflowable ebook files that have a fluid layout, allowing for easy resizing of text and font changes. EPUB is the main format sold through major ebook retailers. The 2011 specification for EPUB 3.0 provided the opportunity for more customizable and accessible publications. DAISY: DAISY (Digital Accessible Information SYstem) files include both MP3 and XML components that allow users to both hear text aloud and follow along visually. W3C: The World Wide Web Consortium (most often known as the W3C) is the primary web standards organization. The W3C manages the WCAG 2.0 guidelines (see below) and, as of January 2017, the EPUB guidelines (formerly created and owned by the International Digital Publishing Forum). Benetech: Benetech is a technology non-profit and the creator of the DIAGRAM Center, which develops open-source accessibility solutions to assist publishers. Benetech also manages Bookshare, an online library that provides accessible textbooks to students with disabilities. 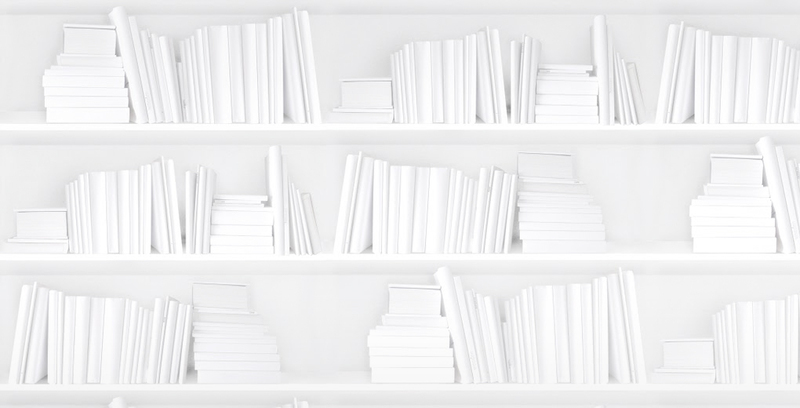 BISG: The Book Industry Study Group creates and manages standards for the publishing industry in the US, including the BISAC Subject Heading List. Anyone whose employer is a member of the BISG can participate in working groups or attend webinars held by the organization. In 2016 the BISG published the Quick Start Guide to Accessible Publishing, available for free online. WCAG 2.0: The main web standards for accessibility are the Web Content Accessibility Guidelines (WCAG), created by the W3C. The technical guidelines are based on the idea that in order to be accessible, web content must be perceivable, operable, understandable, and robust. WCAG 2.0 is the basis for many other standards, including EPUB specifications and most federal accessibility laws. EPUB Accessibility 1.0: Released in January 2017, the first EPUB Accessibility specification includes requirements for accessible ebooks. The standard is built on WCAG 2.0, but is focused specifically on the EPUB format, addressing, for example, internal metadata and navigation requirements for standard book elements. Schema.org: Schema.org is a collaborative effort to create a standardized vocabulary for metadata on the internet. Schema.org vocabulary includes the accessibility metadata tags that are referenced in the EPUB Accessibility spec. Now that you're familiar with the terms, organizations, and standards for accessibility, come to ebookcraft 2017 to see how they all come together for Creating a Roadmap for Accessibility. Follow Kristin Waites on Twitter or connect with her on LinkedIn.